We are a Class 3 / SOT Weapons Manufacturer and we are proud to bea Georgia Company that manufactures US Made Products. We, “Dawn of Defense” sell firearms, ammo and custom firearms only in accordance with Federal, State, and Local firearm laws. 1. Verify that the product you wish to purchase from “Dawn of Defense” meet your state, county, or city firearm laws. Once you have completed your firearm purchase online. You will receive an order confirmation e-mail. If you do not receive an email order status update within two business days after placing your order, please give us a call at 1-423-991-8331. You can use the search function below to view the list of FFL holders that are currently on file (we do not endorse or suggest the use of any FFL listed here). Please make sure you write your name and order number on any correspondence you send us. Contact your FFL and tell them you would like to transfer a firearm from “Dawn of Defense.” This transaction is solely between you and the FFL holder. Once your FFL holder receives your firearm; you will need to pick it up. We can ship ammunition to your door via ____________. NFA firearms are divided into seven types – Machine guns, silencers, Short barrel shotguns, short barrel rifles, AOW’s and Destructive devices. For all practical purposes, these can all be considered pretty much the same in the way the transfer process is handled by ATF. These types of weapons are legal in most states (see our legality map) and are easier to require that many people realize. In fact, if you can buy a handgun at your local gun store ATF will most likely approve your transfer of an NFA weapon. We have had very few customers denied the transfer of an NFA weapon. There tends to be a lot of confusion about how the NFA transfer process works. The following is a brief description of the process, designed to help our potential buyers understand what is required. First, it is helpful to understand an NFA weapon is a registered weapon. These can be owned by individuals, Corps or trusts. The NFA branch of ATF must approve the transfer of these types of weapons from one individual or entity to the next prior to transfer of actual physical possession. You can think of an approved transfer document as a title so to speak, and the said weapon to be actually titled to its owner. It is a serious violation for anyone to possess an NFA weapon which is not currently titled to that person or entity and is therefore important that the item remains with its previous owner until the NFA approval of transfer is received. ATF regulations require that an NFA weapon is transferred to its new owner from a class 3 dealer in their own state. For this reason, after payment is received for an item purchased, we submit a request for transfer by submitting an ATF form 3. This form 3 is submitted to the NFA branch of ATF via fax and is currently approved within 30-45 days. When approved NFA branch will physically mail the approval to our office. We will not be able to send the NFA item to your dealer until this approved form is received. Your local class 3 dealer will work with you on submitting one page (front and back) form called an ATF form 4. The dealer normally completes the front of the ATF form 4 with information about the firearm, serial number, etc. as well as his FFL numbers and info. On the front page, your name or trust name will be listed as the transferee of the item. You will normally complete the back of the form and will attach a passport size physical photo of yourself. Fingerprints are also currently required. The CLEO sign-off is no longer required. This is a big change as this means your local law enforcement agency will no longer be able to block your acquisition of legal NFA firearms. After your form four is ready to send, it should be sent in duplicate to NFA branch along with a one-time 200 dollar tax payment. The NFA branch will do a background check and verify the document sent is correct prior to approval. You will be able to check on your transfer via phone but will need the serial number for the item in order to check. The process times for items going to individuals, trusts, and corps vary based on ATF workload but have been averaging roughly 4-6 months. When the item is approved NFA will send the approval to your local dealer. At that time it will be legal for you to possess your new NFA firearm! The NFA purchase process takes time and is frustrating for some because it takes a fair amount of time to actually acquire the item purchased. It is, however, worth the wait. Most of our customers very much enjoy their machine guns and silencers. It’s an amazing privilege to own these types of weapons and is a privilege not available to law abiding citizens anywhere else in the world! Due to the 1986 ban on the further production of machine guns for civilians, these have become the most collectible firearms available. Our sources tell us there were approximately 250,000 registered transferable machine guns when the 1986 ban was put into place. Due to various causes of loss, there are now approximately 186,000. As a result of a decreasing supply and a vastly increasing demand, these have been an excellent investment. It may be a wise decision to invest in machine guns as part of your retirement portfolio. Anyone at Dawn of Defense would be glad to help you, give us a call today! What is your Terms & Conditions Policy? This site is provided by Dawn of Defense on an “AS IS” basis. Dawn of Defense makes no warranties of any kind, expressed or implied regarding the operation of this site or the information, content or products appearing on this site. To the fullest extent permissible by law Dawn of Defense disclaims all warranties expressed or implied, including but not limited to implied warranties of merchantability or fitness for a particular purpose and also such warranties for any merchandise offered on this site. This disclaimer does not apply to any product warranty offered by the manufacturer of any product sold on this site. In some jurisdictions, limitations of liability are not permitted. In such jurisdictions, some of the foregoing limitations may not apply to you. 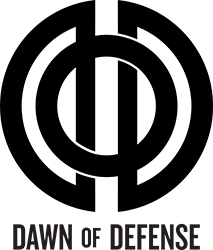 Dawn of Defense, its employees, officers, agents, and suppliers shall not be liable for any damages of any kind arising from the use of this site including direct, indirect, incidental, punitive, or consequential damages whether in contract, negligence or tort even if Dawn of Defense knew or should have known of the possibility of such damages. Your use of this website is at your sole risk. If you are dissatisfied with the website or content of the site you are sold, the exclusive remedy is to discontinue using the site. We ship using USPS, UPS, & FedEx and we do everything in our power to provide you with the most efficient and cost-effective shipping methods available to us, however, if there is a method you prefer just let us know! All items that are in stock will be shipped within 24 business hours and you will receive a shipping notification as well as a tracking number. The timeline for delivery after that will depend on your location, weather patterns, and other factors out of our control, but we promise we will get it to you in a timely manner. If you have any questions or if you need your tracking number resent to you, don’t hesitate to reach out to us asap! We love helping our customers, so contact us however it is convenient for you. Keep in mind, however, we will only ship where it is allowed by US Law and The Office of Foreign Assets Control (OFAC) of the US Department of the Treasury. If you feel you cannot order from us and your country is incorrectly disallowed, please contact us and let us know. We will look into it immediately.